Hundreds of newly released documents may shed a bit more light on one of the darkest days in Dallas, and U.S., history. The 441 documents, never before made public, are among more than 3,800 records related to President John F. Kennedy's assassination released Monday by the National Archives. "They will not shed any light on the mechanics, the actual physical mechanics of the assassination," said Farris Rookstool III, a leading expert on JFK's assassination, who reviewed 500,000 classified documents about it while working for the FBI. The materials from the CIA and FBI include transcripts and recordings with a Soviet defector, a former KGB agent who claims he handled the file on assassin Lee Harvey Oswald when Oswald was in the Soviet Union. 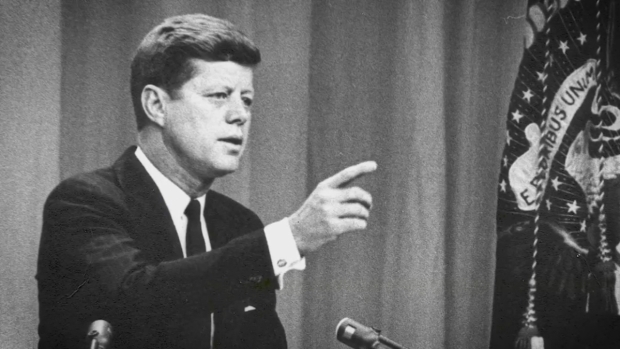 The family of President John F. Kennedy came together to reflect on his life for his 100th birthday in a video released by the JFK Library. Caroline Kennedy says she has "thought about him and missed him every day" of her life. "A lot of that's going to be redundant material. It's going to be sources and methods and things that we already knew," Rookstool said, adding, "What might come to light is, could certain intelligence agencies — was Oswald on the radar? Could he have been cooperating with a foreign entity?" The government has about five million documents related to the assassination, most of them already made public. The remaining documents are to be released by the end of October 2017. "By having them available, they're good for only one purpose, and that is to add bits and pieces to the historical record, so historians and scholars can actually make sense of the big picture," Rookstool said. "Today the National Archives began to release online a number of records pertaining to the assassination of President John F. Kennedy. This represents the systematic release of documents previously deemed classified and subject to the President John F. Kennedy Assassination Records Collection Act of 1992. While The Sixth Floor Museum at Dealey Plaza has no specific insight into these particular documents, it acknowledges that this information may have potential value to researchers and historians, and could lead to a broader understanding of the assassination and time period."